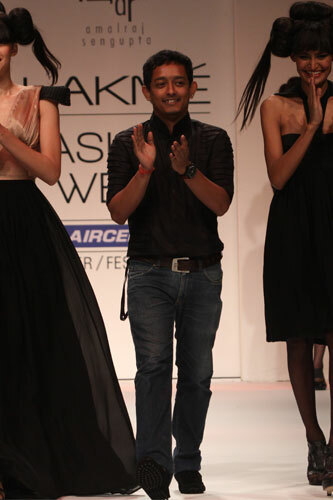 Actually it all stemmed form the media working full-time on covering the recently concluded Lakme Fashion Week in Mumbai. 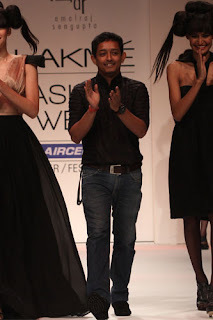 Shows, celebs, show-stoppers & front-row guests got as much limelight as did the clothes, accessories, creativity & fashion. 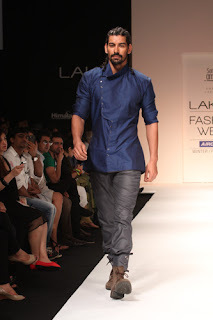 Some designers stunned, while others staled...........but all in all, it was a week filled with fashion at it's best! Though the stalwarts of Indian fashion & couture, such as Sabyasachi Mukherjee, Manish Malhotra, JJ Valaya & Narendra Kumar, dazzled their audience throughout the country with their exquisite creations; the real gems of the show were the young & upcoming talents who are coming up with visually appealing & aesthetically interesting collections. 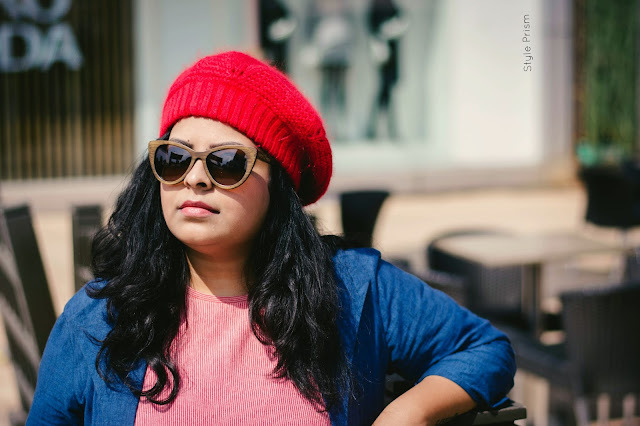 My batchmate from the Fashion Design course at National Institute of Fashion Technology (NIFT) has always been one of the brightest & wackiest designer I know. 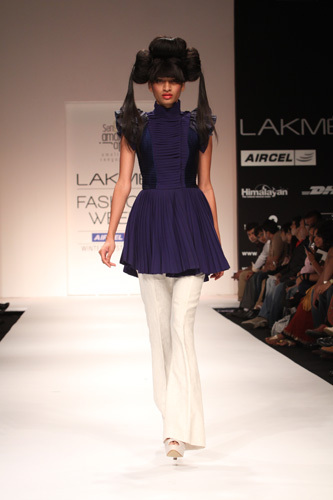 His design sensibilities hover somewhere between pret & avant garde and as a result, his collections never fail to impress. His clothes exhude attitude & style.................and the fact that he designs for both men & women makes him one of the most promising young designers of the country. Amalraj has used fabrics like silk, georgette, chiffon, cotton, linen & knits to make an Autumn-Winter collection that is a blend of his signature texturing & style with Asian influences. Lots of detailings, quilting, pleats & unusual closures make his collection edgy & unconventional. His sure is going to be a big name in the shining future of Indian fashion. 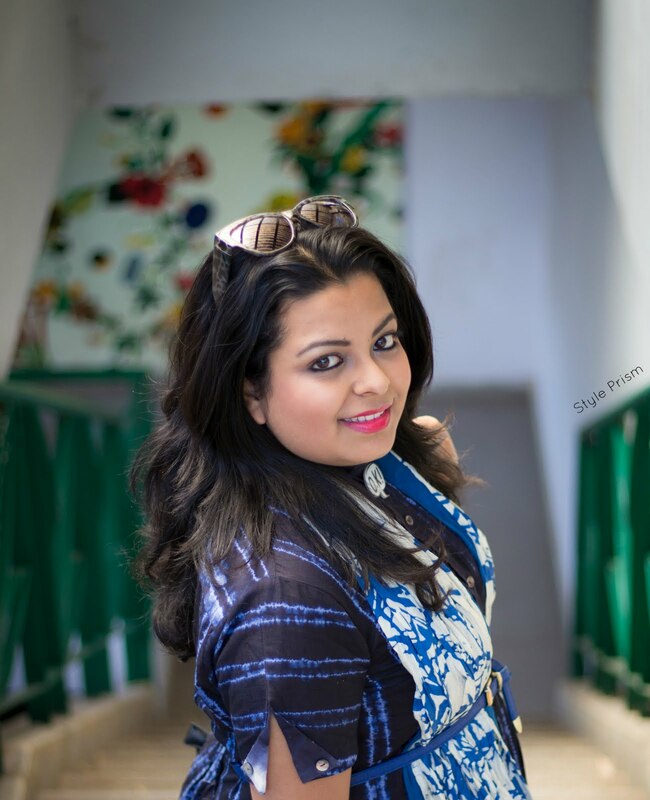 Another one of my NIFT batchmates, this time from the Textile Design course, Shivaji is another budding designer who is doing a wonderful job of creating interesting clothes. 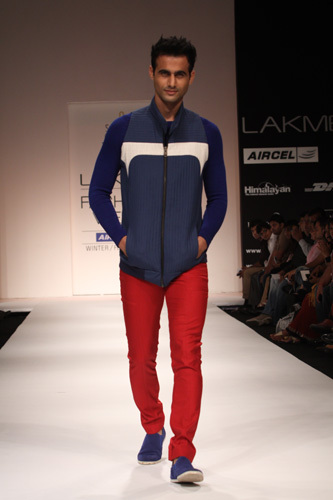 An interesting way of using scraps & recycling materials to create amazing clothes is his forte. 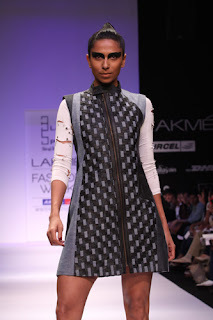 He blends together leather & fabrics to create designs & patterns that are as smart & edgy, as they are versatile. Shivaji swears by recycling of old clothes & materials and the same mantra forms the core design sensibility of his brand Blank Spot. Fabric & leather were woven togther to create beautifully constructed clothes & interesting silhouettes. 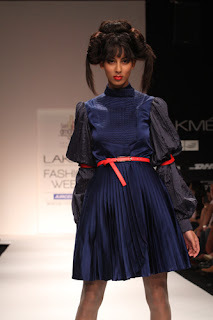 The dresses were all of simple yet well-cut silhouettes﻿ with multiple panels & extensive use of zippers. 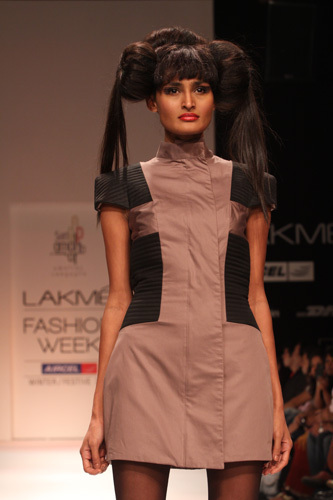 The use of safety pins to hold shredded tees & stockings added a quirk factor to the whole collection. How awesome is that!!! Really like both their work!!! 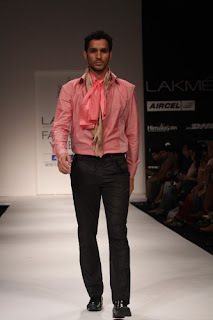 I know very little about Indian fashion, regrettably. It's obvious that there is a very vibrant community of talented designers up and coming. 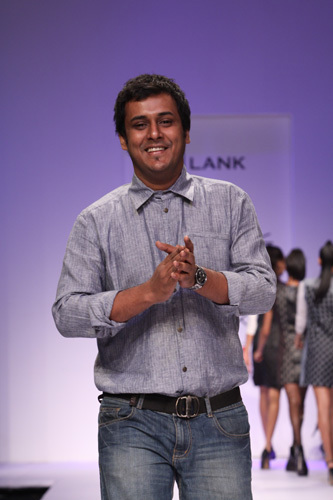 I'm particularly impressed by Amalraj's designs- how exciting to see someone you know take the fashion world by storm! WOW,WOW,WOW!! !I am so impressed about these collections!! !So stylish and original,thanks for sharing! Brilliant. Thank you soooooooo much for sharing. i really like the strong lines and angles. That looks like a wonderful fashion walk! The clothes are beautiful! What an absolute treat to see these two designers' work. Thank you for showcasing these two talented individuals. Their designs are amazing.